This past weekend, I was in a class that Kevin Twit taught on the History of Hymnody. It was a weekend seminar at my seminary, covering the hymn as a genre of writing (not specifically the music thereof, though we did sing periodically in the lectures). For the class, we’ve been reading Faith Cook’s Our Hymn Writers and Their Hymns. I have been stirred, even as I’ve cried, as I’ve read about people dying well, trusting their Savior while passing on their love for Christ and the experience of joy in Him and sorrow in weakness and sin to others through their music. 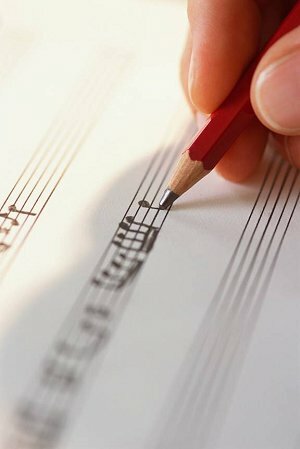 Why have music education in a Christian school? The following is a text of a short address I gave for the Grandparent’s Welcome convocation at the school for which I work. I’m a first-year faculty member and a third-year teacher. I teach Pre-K thru 5th grade this semester and will add 6th grade next semester (just to give you some context for what I do). The mission verse for the school this year is Proverbs 20:11 and I wrote a song using the text (NIV of 1984) to help the students internalize it. When I finished the address, the students stood up, faced their grandparents and sang the verse, accompanied by another faculty member. Just finished an arrangement of a hymn I wrote that will be introduced for corporate worship during the offertory next month. I never quite know what to make of what I create, least of all, this particular hymn. When the ark of the covenant was placed in the tent in Jerusalem after it had been returned from captivity in Philistia, David sang this as part of his song of praise. How often do we find ourselves thanking God for His provision and protection of the saints of old? Of the children of Israel? David was more than a couple generations removed from Moses or even Abraham. And yet he sets his praise of God in the context of God’s acts prior to his birth! And yet, he sings of God’s faithfulness. Something I love about the liturgy of the word at my church: we often end a Scripture reading with the statement, “This is the Word of the Lord. This is our story. Thanks be to God!” The story of the wandering Israelites, the sojourning family of Abraham, Isaac and Jacob, the story of David dancing before the ark–this is our story. God’s provision of redemption for his specific people is the story of the Church. I spent some time with a couple of good friends this morning in the chapel at CTS. We got started shortly after 9 and finished up at a quarter to twelve. We rehearsed and recorded six of my original tunes and one arrangement I’d written while at my previous church. All three of us had a great time (even though I’m a little bit hoarse from the sinus gunk that’s been going around lately). It was an extremely encouraging way to spend a morning, indeed a privilege, to worship God with our skills and our instruments as we recorded songs which ranged from heart cries (Psalm 88) to celebrations of God’s mercy (“The Holy Ghost Must Give the Wound”) to songs about the risen Christ (“I Know that My Redeemer Lives”). Of the Father’s Love Begotten. by Aurelius Clemens Prudentius (348-413), translated by J. M. Neale and H. W. Baker. From Cantus Christi, pg. 246. All Praise to Thee, Eternal God! A hymn by Martin Luther. From The Lutheran Hymnal of the Evangelical Lutheran Synodical Conference of North America, Concordia Publishing, St. Louis, MO: 1941. #80. Hark, How the Heavens Ring! A hymn I’ve selected for the first day of Christmas. “Hark, How All The Welkin Rings!” is a hymn by Charles Wesley, first published in his Hymns and Sacred Poems in 1739. It has passed into modern usage as “Hark the Herald Angels Sing.” While I understand and to varying degrees support the modernization and editing of this hymn that has gone on, I think it’s good to examine the original. There are some notable changes, so read carefully.